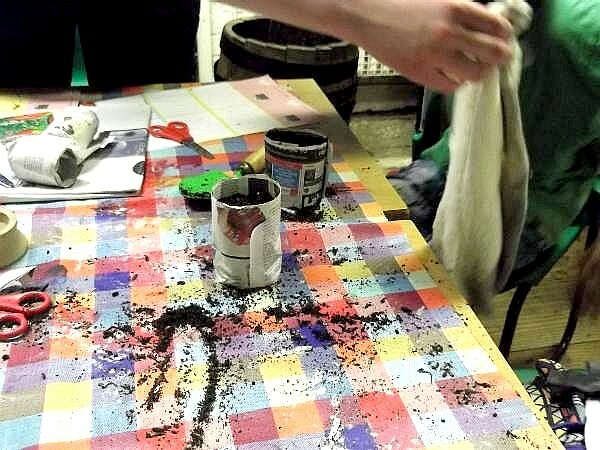 Making a wild flower seed mat was a main event when we visited the National Trust at Morden Park Hall in Surrey. It is easy and very interesting to make as the Trust`s members went on to show us. But what is it? Quite simple really! 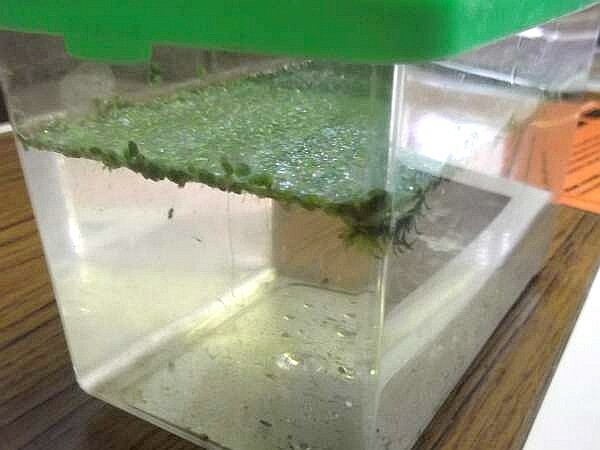 It is a mat that holds tiny seeds within its layers which will soak up water when the rain falls to germinate them when they are ready to sprout. 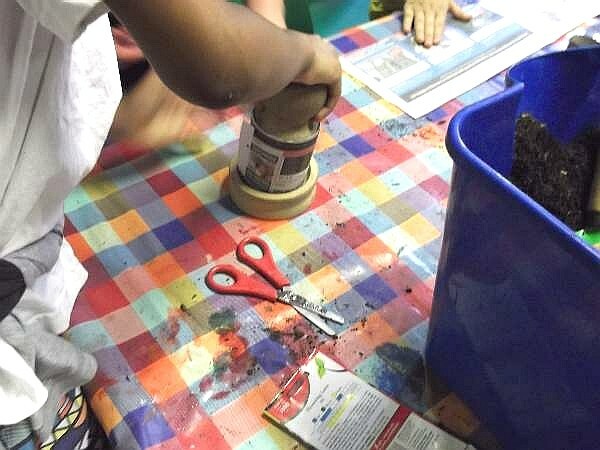 The KKC crew zoomed in on that activity when they saw it as they just love nature crafts. You can buy them at garden centers but it`s much more fun to make your own. We took some photos to share with you so you can make one too. You will need some tools and seeds to plant in the mat so make a copy of the list above. Iain and James were shown how to cover the wire mesh with the paper mache. 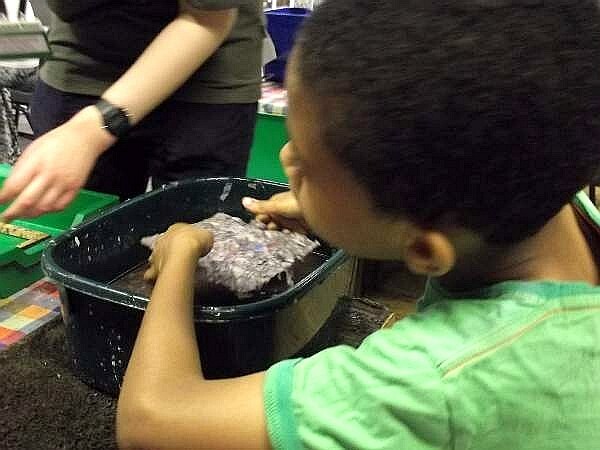 They slid the mesh under and along the bottom of the tub and lifted it up to catch an even layer of very wet paper mache. 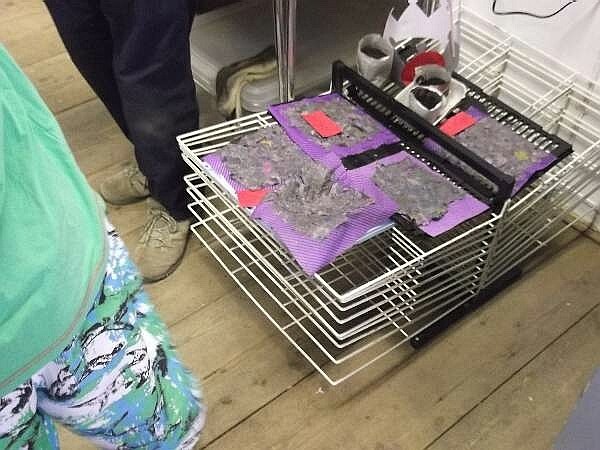 They let the surplus water drain off and then placed the mesh sheet on a disposable cloth with a towel underneath. 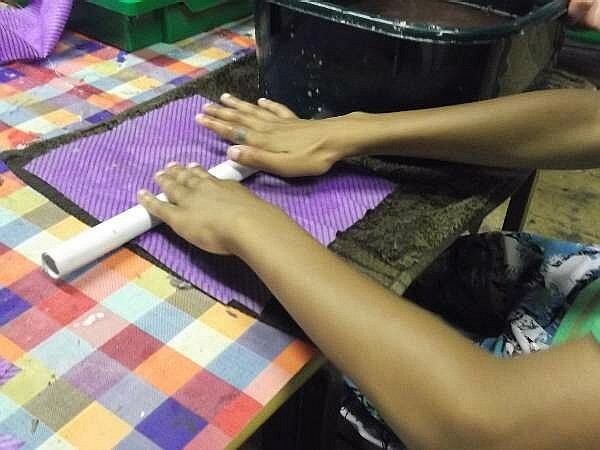 Another disposable cloth was placed over the paper mache and then rolled with the rolling pin to push out more of the water, as much as they could get out. 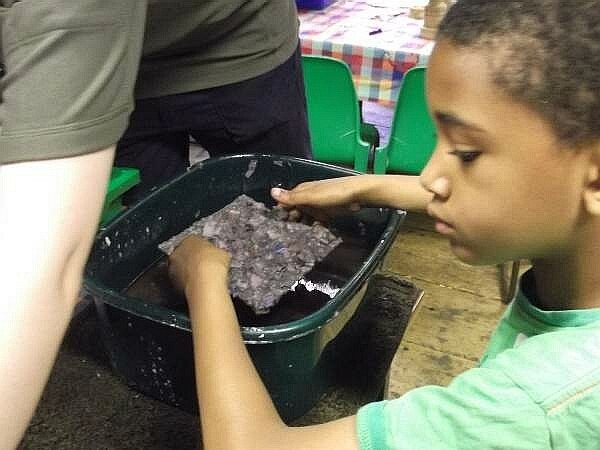 Next they were shown how to flip the whole thing over using the palms of the hand and then the wire mesh was slowly lifted off to reveal a paper mache mat ready for the seeds which were then sprinkled evenly over the mat. 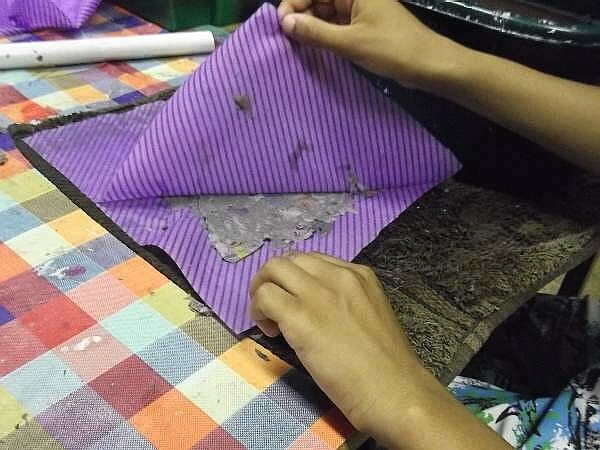 Another mat was made in exactly the same way and along with its disposable cloth, was folded over the top of the first mat to enclose the seeds. After rolling again this time to make the paper mache sheets stick together, the top disposable cloth was removed but not the bottom, and the whole wild flower seed mat was then left to dry a little over a paper mache carton. Note: Instead of a towel, James is using a wooden frame! But they were not finished yet! The wild flower seed mat has to be planted as soon as possible because the seeds are in a wet environment and will begin to germinate. 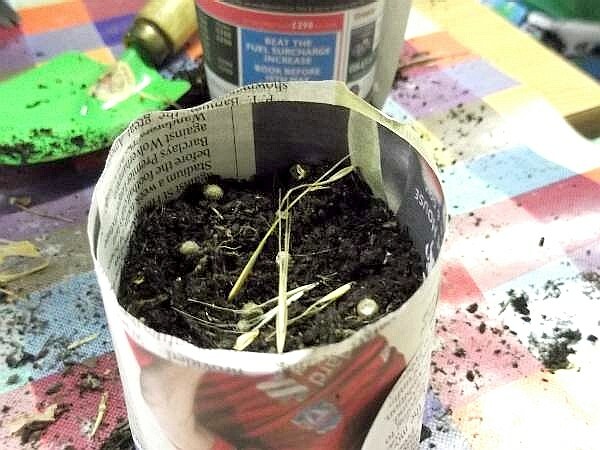 To plant them, make a very shallow flower bed and place your mat along with the disposable cloth which is biodegradable into it. 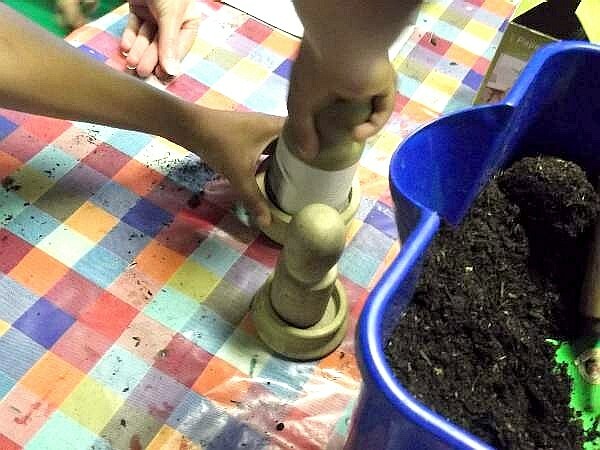 Mix the soil that you removed from the bed with some sand and garden compost and cover over the seeds but no fertilizer please! 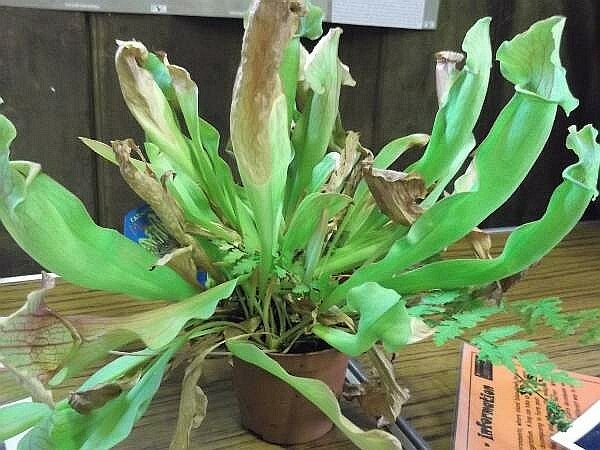 Now you must keep them moist until they start to grow and are happy to get on with it all by themselves. The KKC crew enjoyed other nature themed activities. 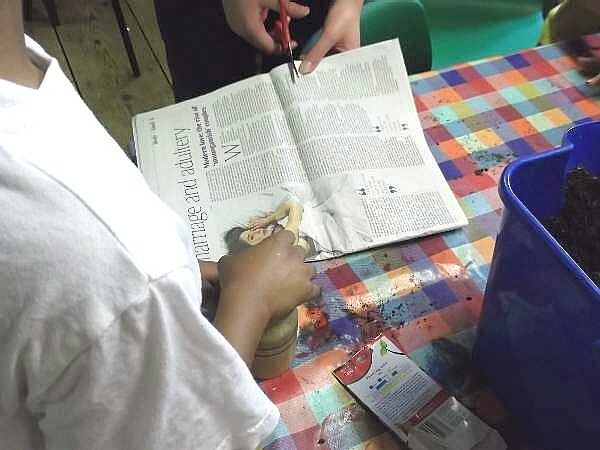 They made newspaper seed pots using a mortar and pestle to shape and fold it and once filled with soil, they planted seeds. These seeds though were from the grasslands of Morden Hall Park and the method of gathering them was really fun. Iain and James put thick socks over their shoes and ran through the tall grass. The seeds stuck to the socks as they ran around. 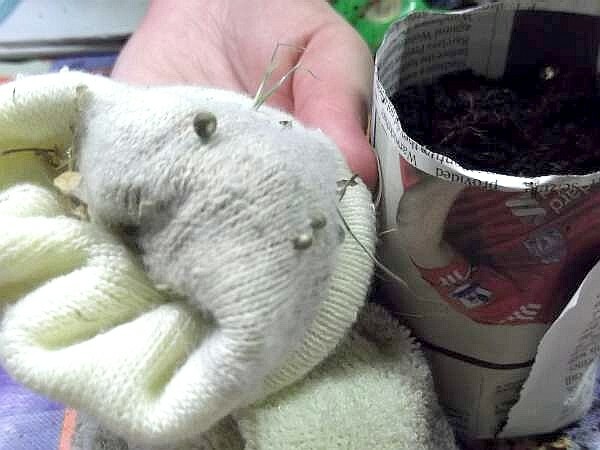 They then carefully took the socks off so that the seeds were on the inside. 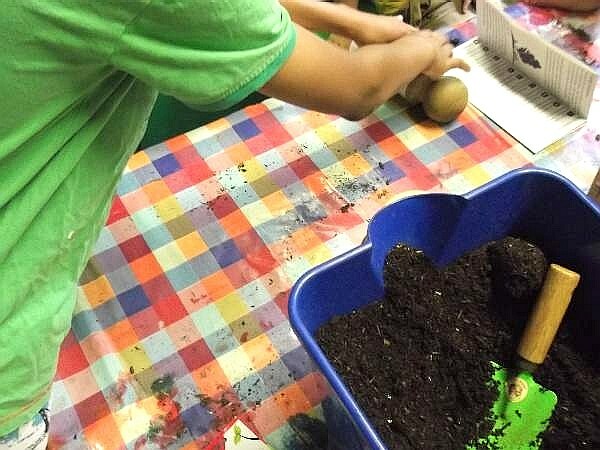 We all returned to the workshop where the socks were carefully turned inside out, the seeds picked off, and then planted. Click on the gallery below to see a larger picture and description of how to make the pots. 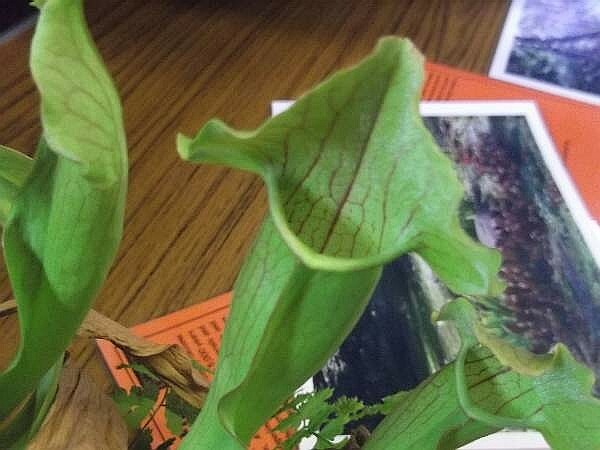 There were other interesting plants to learn about. See some below. 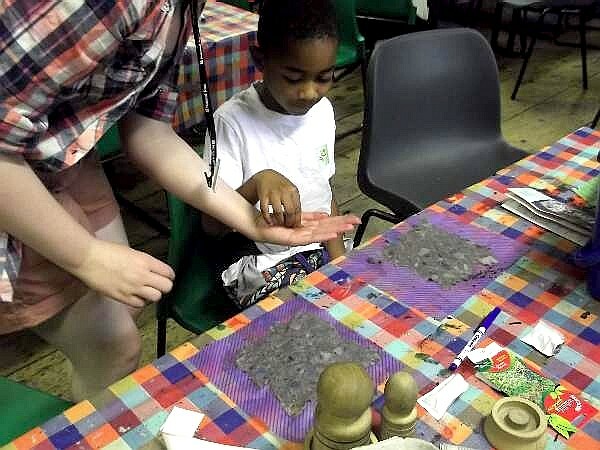 All and all it was a great nature craft day thanks to The National Trust and their concern for our children. 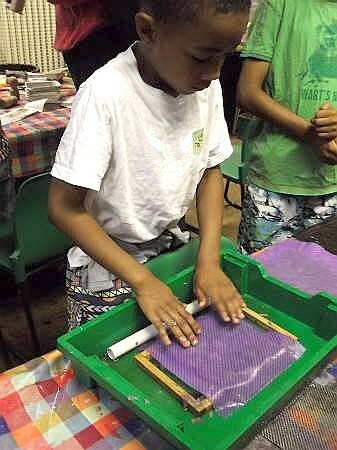 Visit their website where you can learn of other activities through the summer holiday term that you can participate in. 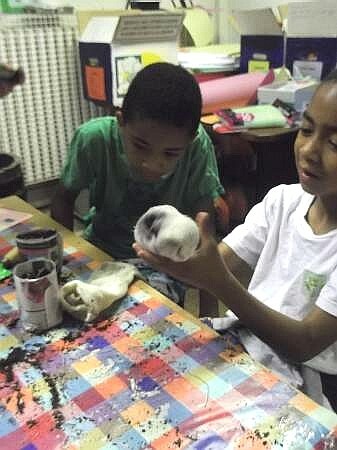 Make the use of the outdoors this summer to help kids have hands on nature projects. 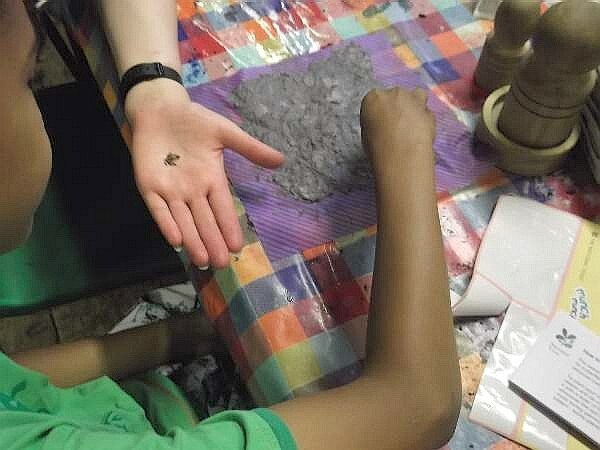 If you enjoyed making a wild flower seed mat, take the time to see what other outdoor fun things you can get you hands dirty doing on our Children`s Nature Crafts page.